Sunday Puzzle: What's In A Name? 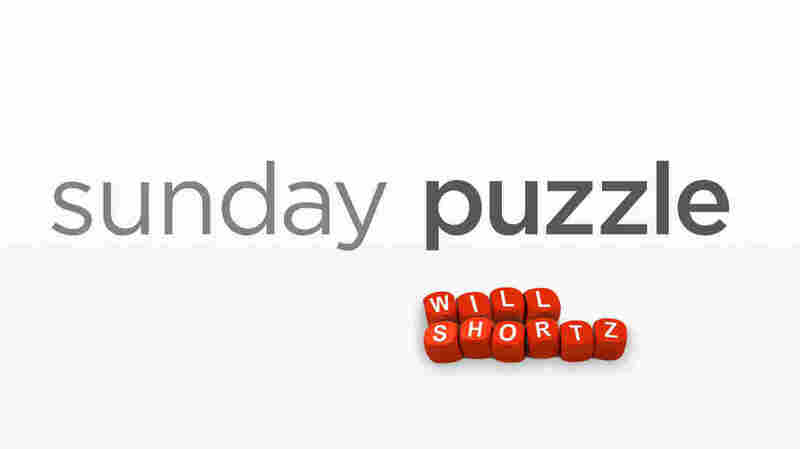 NPR's Lulu Garcia-Navarro and Will Shortz, crossword editor for The New York Times and Weekend Edition Puzzlemaster, play this week's puzzle with Gordon Brown of Winston-Salem, N.C.
Sunday Puzzle: What's In A Name? On-air challenge: For each word, change one letter in it to get a common boy's name. Last week's challenge: This puzzle was for the new school year. Think of two antonyms, each in three letters. Set them side by side. In between them arrange the letters of TRY TO ACE in some order. The result will name someone at school. Who is it? Winner: : Gordon Brown of Winston-Salem, N.C.
Next week's challenge: Think of a familiar 6-letter boy's name starting with a vowel. Change the first letter to a consonant to get another familiar boy's name. Then change the first letter to another consonant to get another familiar boy's name. What names are these? If you know the answer to next week's challenge, submit it here. Listeners who submit correct answers win a chance to play the on-air puzzle. Important: Include a phone number where we can reach you Thursday, Sept. 28, at 3 p.m. ET.